With spring in the air and the light evenings creeping in, it's starting to feel a little warmer, which is great because this means I can reduce the amount of layers I've been wearing during the day. 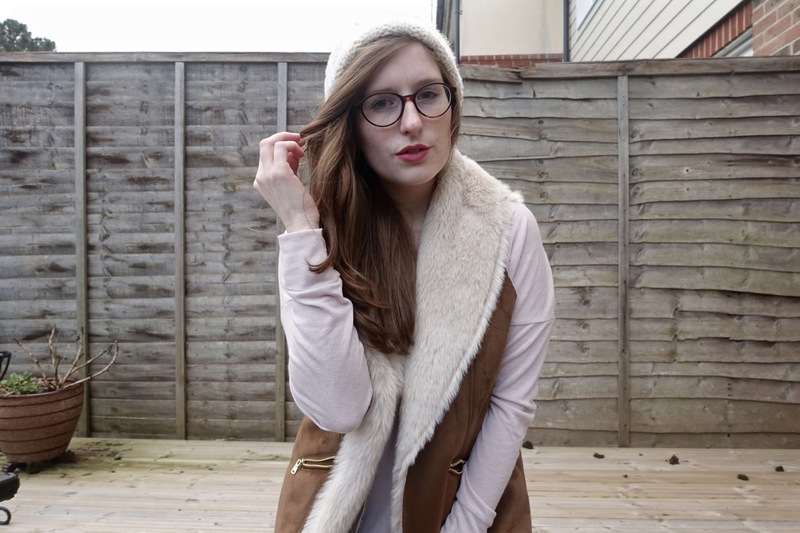 I found this faux fur gilet in my local Tesco's F&F Clothing section, which was part of their A/W collection, however I'm bending the rules and blending seasons and taking this versatile piece through into spring / summer too! 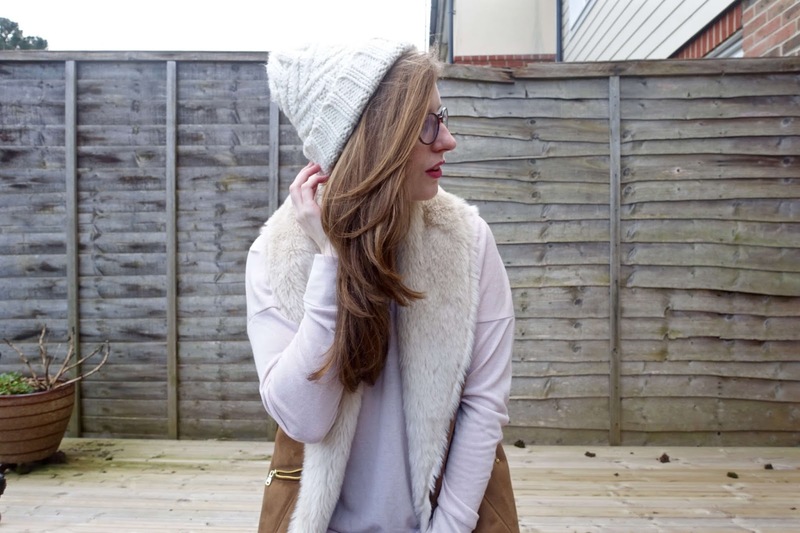 As it's sleeveless, its perfect for layering over a top with thinner material or a loose fitting jumper, that way I'm covered as I won't get caught out by the odd brisk wind. Even though I'm still styling up my winter clothing and incorporating into my spring wardrobe, I'm so darn excited at the prospect of wearing floaty dresses (without the tights! ), wearing skirts (without the tights! ), oh, and of course getting into a bikini. Not so much for the "oh I feel so good in a bikini" side of things, because I don't... but more for the feeling of, "oh its hot enough to sit out in my bikini and not feel cold" - oh what a feeling! Which suitably brings me onto my exciting travel news that this time next month, I will have finished work and will be a couple of days away from my holiday to Elounda in Crete! Of course I will be covering this trip on the blog and I am hoping to put together a couple of holiday outfit posts too. Now payday has hit, I definitely need to sort out my summer wardrobe and make a few purchases from the ASOS holiday shop (dresses, bikinis, flip flops and all that jazz). HOW is this from Tesco?! They're clothing is literally off the chain these days! Have an amazing time in Crete, lovely!! Very jealous!